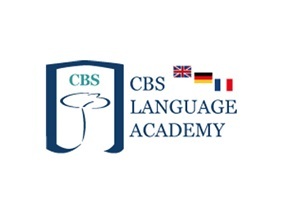 Superb opportunity for a talented English Language Teacher to join CBS Language Academy. We are looking for an excellent, enthusiastic teacher with experience teaching Cambridge Language Exams, to make a significant contribution to our team. The English Teacher Person Specification: Are you conscientious, enthusiastic and able to improve the progress of pupils at our academy? We are seeking teachers with experience teaching English to children and adults. Evidence of teaching Cambridge Young Learners, Cambridge CAE, Cambridge FCE or Cambridge PET is required. To be considered for this truly wonderful opportunity, you must be an energetic, experienced English Teacher who can display a track record of ‘Good’ or better classroom practice, and who crucially has the ability to teach with professionalism and effectiveness across all age groups. You should also have a degree and/or a Celta/Trinity CertTESOL or Tefl qualification, Can you also bring a fun streak to your lessons, and help formulate a curriculum that not only develops students academically, but also help them develop a passion for learning English? If you can, then this academy is for you! This school is committed to safeguarding children and as such this post is subject to advanced CRB clearance prior to appointment.